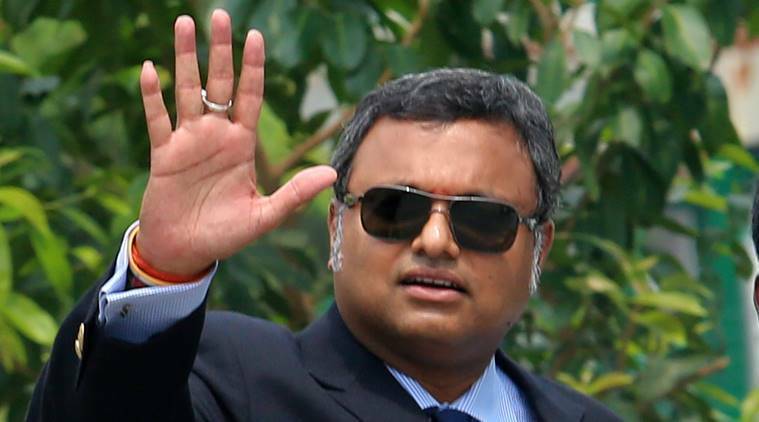 The Enforcement Directorate (ED) on Saturday conducted searches at Karti Chidambaram’s premises in New Delhi and Chennai in connection with the INX Media money laundering case. The agency had on Thursday issued fresh summons to senior Congress leader P Chidambaram’s son for January 16 after he skipped his appearance before it in connection with the money laundering case. In May last year, the ED had registered a case under the Prevention of Money Laundering Act against Karti and others. The Chidambarams have, however, denied all the charges made against them. “They (ED officials) searched & found nothing but since they had to justify themselves they took papers of a statement made by govt in the Parliament, few years back. The ED has no jurisdiction to investigate under PMLA,” ANI quoted Chidambaram as saying. The INX Media money laundering case pertains to the Foreign Investment Promotion Board (FIPB) approval granted in 2006 by the then finance minister P Chidambaram. It had lodged an Enforcement Case Information Report against the accused named in the CBI complaint which included Karti, INX media and its directors, Peter and Indrani Mukerjea, among others. The agency has alleged that Karti Chidambaram received money from INX Media for using his influence to manipulate a tax probe against it in a case of violation of Foreign Investment Promotion Board (FIPB) conditions to receive investment from Mauritius. The CBI has said it has also recovered vouchers of Rs 10 lakh which were allegedly paid for the services. They were charged of criminal conspiracy, receiving illegal gratification, cheating, influencing public servants and criminal misconduct. These vouchers were issued in favour of Advantage Strategic Consulting (P) Limited, a firm “indirectly” owned by Karti Chidambaram, the CBI had alleged. Former finance minister P Chidambaram, after the CBI searches on May 16, had issued a strong statement in response to the raids, saying the government was using the CBI and other agencies to target his son. The FIPB approval was granted in “hundreds of cases”, the senior Congress leader had said.